From left, Somerdale Square Family Health Services Nurse Manager Nichelle Edwards, Crystal Bozzuffi and Felicia Nesmith-Cunningham, Kennedy’s corporate director of family health services. 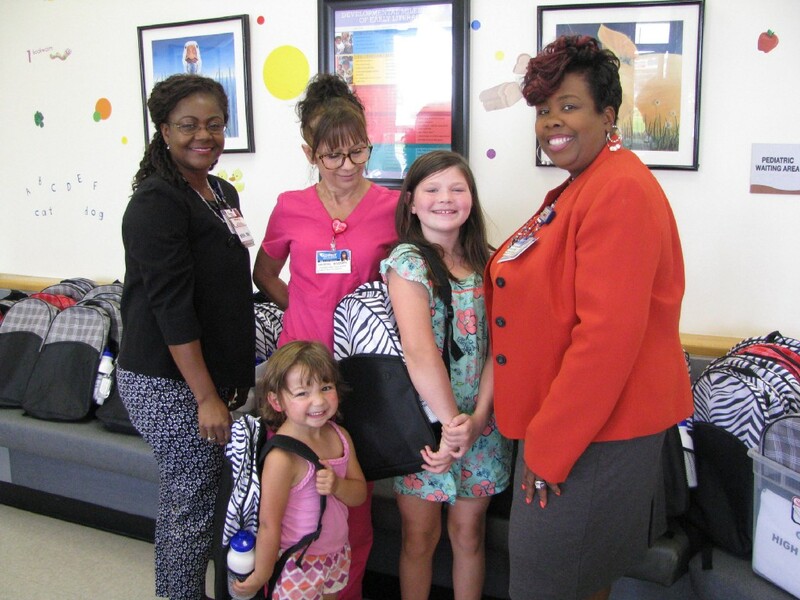 Blackwood residents Carlee Mott, 8, and her 3-year-old sister Nola Keys were two of dozens of Kennedy Family Health Services pediatric patients who received free book bags on Aug. 21 as part of its “Helping Hands to Health” Back-to-School Book Bag Giveaway. Book bags containing school supplies for kids from pre-K to high school were distributed to young patients at both Kennedy Family Health Services locations in Somerdale Square and Washington Township during Monday’s kick-off event. A total of 400 book bags are available through the program, which runs through Aug. 31. For more information, or to schedule an appointment for an adult or pediatric patient at either Kennedy Family Health Services location, please call (856) 309–7700.